Drill down on any gauge to see a graph of your data. 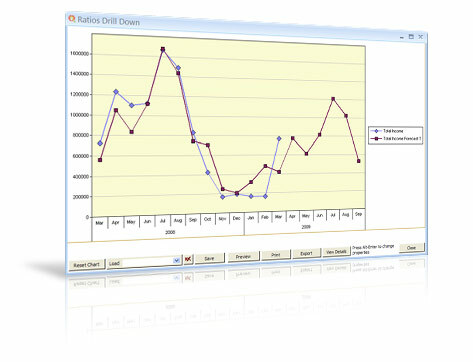 Add your choice of trend line to the chart, and then export the details in a pivot chart if desired. 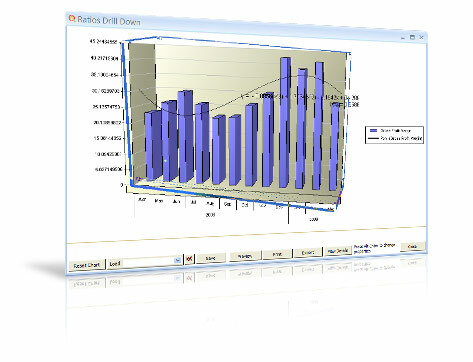 CleverQ has an array of built-in regression analysis tools with customizable charts and graphs which can be exported or drilled down on to see the details. CleverQ Trend Forecasting goes beyond typical trend forecasting. Advanced "best fit" regression analysis, combined with seasonal trend analysis provides you the tools to forecast monthly data in a single command.